A git client for Android. 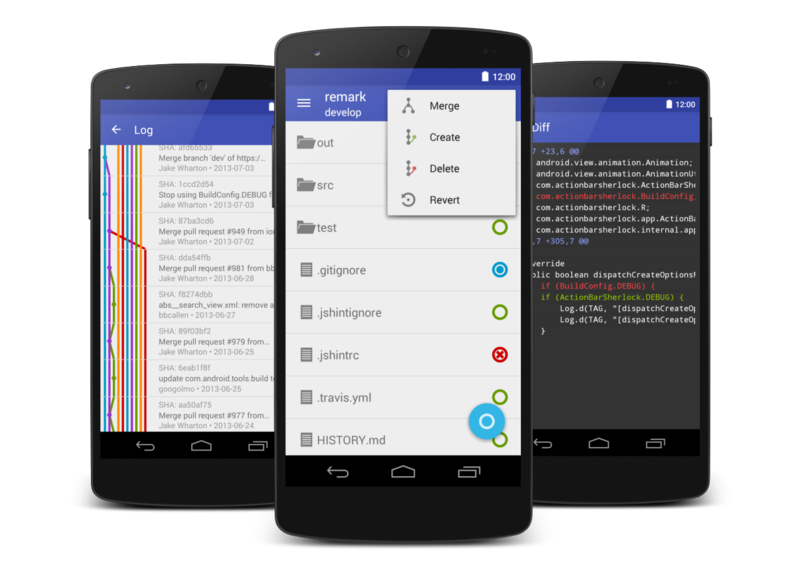 A powerful git client for Android. Modern look following the material design guidelines. Clone, stage, unstage, commit, push, pull, diffs and graphical log.